Commercial properties rely on having reputable businesses occupy their available spaces and providing a source of long-term income.  As a property management company in Massachusetts, J. Butler understands the importance of full-occupancy in commercial spaces. To ensure your future tenants fit the qualifications, proper tenant screening is a top priority. What information can it provide? Depending on the type of software being used, it can inform you of a lot regarding a particular business. The legitimacy of their work and their financial stability to uphold a long-term lease are two of the most essential, and examining these items can make or break the relationship you are considering with these tenants. Bottom line? Tenant screening protects your investment. Commercial property rentals can be a risky venture and taking the steps necessary to prevent regrettable leases can save you time, resources, and additional spending. Choosing the most qualified tenants not only ensures you will receive your rent on time but also maximizes your return on your property. These positive business relationships will attract equally as qualified tenants in the future, reduce costs caused by fast turnover, minimize the risk of theft or damages, limit potential legal claims, and more. Ultimately, taking the time to screen each tenant properly with superior software systems and resources is the best way to defend against potential tenant issues down the road. If you find you are in need of comprehensive leasing services for your commercial space, the J. Butler team can help. With over 30 years of experience, we are one of the premier property management companies in the greater Boston area and can help you screen for qualified commercial tenants to ensure a smooth and beneficial leasing process from beginning to end. With more questions about our leasing services and how we can help you, please contact our team today by calling (978) 694-9004.